The castle is calling! Play as the lovely Anabel, whose father, Henry, disappeared several years ago. Now he’s calling to you in your dreams and needs your help. Travel back to your hometown to save your father and uncover the secrets of Midnight Castle! A batty sidekick, a variety of hidden-object puzzles, morphing objects, Rube Goldberg-style super puzzles, and tons of collectibles make this a not-to-be-missed adventure! 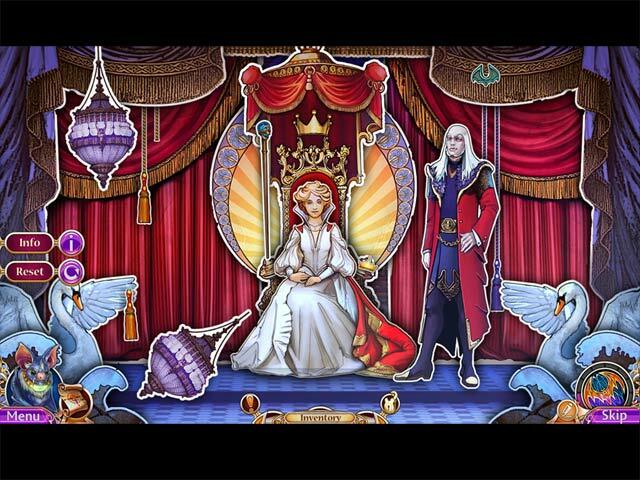 Fans of the blockbuster game Midnight Castle will thrill to this Elephant Games’ prequel! Save Midnight Castle from a new danger in the bonus game! 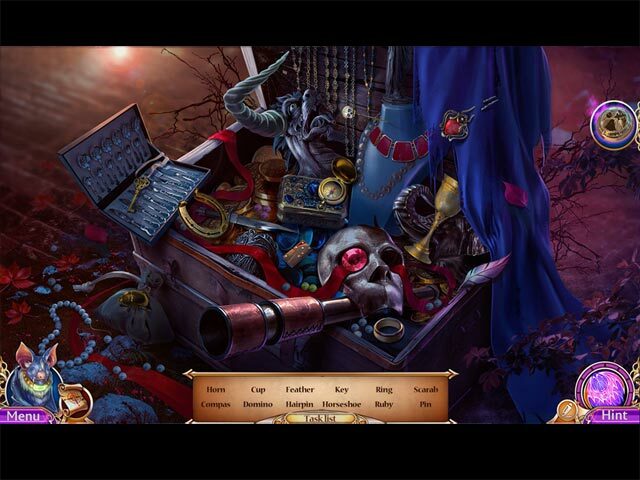 Replay your favorite hidden-object puzzles and mini-games! Enjoy exclusive wallpapers, concept art, and the soundtrack! Uncover all the secrets with the available Strategy Guide! 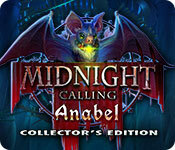 Midnight Calling: Anabel Collector's Edition is rated 4.0 out of 5 by 40. Rated 5 out of 5 by brigluan from love this game!! This was my new favorite game when it came out. It is still one of my top 3 favorites, just played it again and it was wonderful the 2nd time also. With all the new games that have come out with this type of storyline, none of them have grabbed my attention like this one. I wont go into the mechanics, etc. as that has already been done by top reviewers. I will say this, it is one of the few games with a helper that is actually loveable. Rated 5 out of 5 by tutortime from Excellent Game. Great game; storyline,graphics and minigames. Rated 5 out of 5 by Kreshmaa from Hidden Object Games I love hidden object games that make work for as well give you something to work towards, otherwise what would be the point. The midnight series has provided that and more. Rated 5 out of 5 by YellowFinch from Fun game! I enjoyed this game very much, played most of it all in one evening. I bought the game as a special edition not a collector's edition. Lots of puzzles, hidden objects, & just figuring out what to do next. Hint works well, helps you figure things out. I would definitely recommend this game! Rated 5 out of 5 by Italia47 from Hail to the Chamberlain! I don't think so, pal! Anabel's destiny is to go to Midnight Castle, find her father's hiding places, restore justice, and return magic to the world. This is quite a journey and quite a responsibility on her part. The word of the day is STUNNING! Stunning artwork; Stunning scenery with mansions, loads of ornate objects, cool, crisp graphics, awesome music and sounds; voiceovers were excellent. I mean Elephant devs are about the best there is out there; no holds barred! Sure, there were some minor inconsistencies that can be overlooked but your journey will be an exciting one. You have a bat friend to help you in the Main Game and a beautiful bird friend to help you in the Bonus Game. I preferred the bird. Of course you need to sustain both of them to get them to help you by finding strength for the bat and/or food for the bird. In either case this game has it all. Fragments, elements, amulets, great HOS, not unusual ones but the objects were intricate and fabulous. I saw a few freshwater pearls (one of my fav gems# and other intricate objects. Very impressed with the workmanship! You'll solve a series of puzzles; locate hundreds of objects and there will be some items that will remain in your inventory for a long period. The map was great, and depending upon the level you choose the tasks can be somewhat difficult and challenging and somewhat easy as well. Visually speaking the scenery was quite beautiful--so pleasing to my eye that based on that only, I give this awesome game a 5-star. Absolutely beautiful and Elephant Games always delivers in that area. The music was lovely especially when playing the HOS, I love to put on my headphones and enjoy the sounds that devs offer us! The sound effects were great too. Birds chirping, ocean waves crashing against the rocks; and in some scenes the trees had orange-red leaves, gold-yellow leaves signifying, obviously, the fall season. Gorgeous! It's refreshing for a change to see artwork that isn't dingy or gloomy or depressing! There were some underwater scenes which were quite beautiful as well. But I prefer, mansions, the property around the homes, cobblestones in the town square; the townspeople. I felt like I was right there! Just beautiful! The gameplay was very much to my taste, too. I got all the leadlights #stained glass pieces), all but one morphing object; and most of the achievements. The mini-games were truly fun and exciting to complete. I completed all but two. Such is the nature of the beast or dragon, that is! Wow! For a while there I thought Elephant Games was losing their touch but not so, folks! Very innovative, clever game. The amount of work that went into this game is phenomenal! As usual, though, the ending is abrupt, but no matter! Good storyline, nonetheless! Bravo to everyone who was involved in creating this game. I checked out the credits and I encourage you to do the same. Gives you an appreciation of what the devs do! Well-organized, great hint button if you needed it. This game, as you can tell, really did it for me! I highly recommend it! You might find that this game will do it for you, too! Rated 5 out of 5 by LAMBOBAA from LOVE AT FIRST BITE First of all this is the only game I have felt compelled to finish in one sitting. I just was not bored. Usually I play for awhile only to get up and do something else. Not this time. I enjoyed seeing the Midnight Castle theme played through out this game. It was all done so well. I believe anyone who has been playing the original game will like playing this new animated twist on our old favorite. I found it very satisfying. Rated 5 out of 5 by mamakatze from Midnight Calling Is Beautiful and Delightful to Play First off, I must highly praise the puzzles within the game, which add a great deal to the sheer fun of playing. The graphics are first rate, the story line is good and I liked the music and spoken dialogue. Now I'll have to buy the other part of this story. Rated 5 out of 5 by matai9 from Storm the castle for mystical adventure! 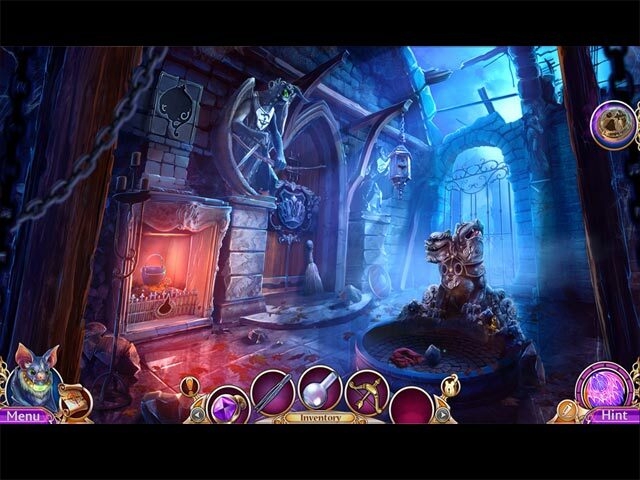 This game offers something for everyone who loves adventure with a combination of spooky scenes and magical elements. Although the game was fairly short, I felt there was an adequate mix of puzzle, HOGs and role playing to keep me busy. Players have two animal helpers. The main game features an adorable bat to assist Anabel in her quest to save her father from the evil chamberlain and save the kingdom. This "save the kingdom" tale has been done to death, but if you're a fan of the HOG Midnight Castle, this shouldn't be a concern. A falcon flies to the rescue as you switch roles in the bonus chapter as Calum on a mission to save Anabel. A little effort is required here to feed your helper, or else he will turn his face around and not assist until he gets seeds or grain! The bat is not so demanding, but does require a strength potion once to battle possessed gargoyle/griffins at a gate entrance. Artwork and voiceovers are fantastic, especially the dragon's deep tone reminiscent of Smaug in The Hobbit. I enjoyed most of the puzzles, especially one where characters are rotated to line up with tangled lines and then selected to move along to their proper places. Other standouts for me were a mini game of steering a boat through rough waters with sharp craggy rocks in an underground lair. I had to do this one several times because I didn't see a turn coming. A few find the pair HOGs are interspersed with traditional lists and unfolding stories where the hidden object is listed within the text in all caps. I think the best of these was a traditional list scene where all the objects were in stone. Five crescent moons and five suns are required to open the rest of the list. This was really challenging, as all items looked like real stone surfaces. Extras include 29 morphing objects, 12 collectible animal characters such as a witch mouse stirring a cauldron, and 32 stained glass pieces that complete a leadlight image with sun rays moving through. It really does look like a stained glass piece. Too bad it wasn't offered as a screen saver. Achievements create incentives to find 3 objects in 3 seconds or 10 in 10 seconds, among several others. A soundtrack with four songs is also included, along with about a dozen wallpapers and concept art. There is a secret room with 13 replayable mini games and 16 HOGs. I didn't enjoy this secret room as well as others by Elephant Games because it was more of the same, even though you do get to earn additional "secret room" achievements. I loved the timed morphing hidden objects they have offered in other games with secret rooms. Great fun with a wonderful atmosphere. I hope to see more Midnight Calling games. Rated 5 out of 5 by scamp69 from Good Storyline, Excellent/Helpful Map, Pretty and FUN Yea, this one might be on the easy side but the graphics are beautiful and I actually cared about the story. I only buy CEs because my memory is awful and this met my expectations. It had 12 mythical creatures to find; 32 stained glass pieces (my guess is after you finish you assemble the puzzle); and each scene had morphing objects - Love all of these! In some of the more complex puzzles you can select Hard or Casual. I just finished the main game and am Reviewing before I start the Bonus. Give this game a try! Cudos to the devs.